When my wife Laura Saeger and I were asked to become part of the World Monuments Fund team working to restore Shwe-nandaw Kyaung, Mandalay’s most prized monastery, we knew we would face some challenges, including understanding the ancient way of timber frame building in Myanmar, working with teak, a wood we were unfamiliar with and working in an environment nearly 2000 miles closer to the equator than we have ever been before. What we hadn’t anticipated was just how difficult finding the tools of our trade, in this recently opened country, would be. As we anticipated beginning our work in Mandalay, we built a list of the tools we were both familiar with, and that we knew would be impractical to try to carry over as baggage or ship as cargo. Not only would there be a great deal of weight involved, but many of the tools we work with are prized antiques or expensive modern versions developed and manufactured in Europe or Japan. We knew getting tools from Europe might be a challenge, but with our Midwestern perspective we thought as close as Japan was to Myanmar, compared to the US, and the rich history of Japanese timber framing would mean we should be able to source good Japanese joinery tools in Mandalay. At home our versatile Japanese squares and irreplaceable Japanese pull saws are always close at hand, both when we are working in the shop, and when we go out to do on-site work, but even though we took photographs of them with us, not one tool supplier we showed them to had ever seen anything like them before. We soon came to realize that well before 2011, the first year Myanmar began to open its borders to tourism and trade, Chinese manufacturers controlled a strong and nearly exclusive market for most any product you would want to buy, including carpentry tools. Our prerogative shifted from buying tools we knew would work, to buying tools we figured we could make work. The thrill of touching the master blacksmith’s work for the first time. Do I look happy? Switching from Japanese style pull saws to European style push saws would be awkward, but something we could do, and replacing high-quality layout tools like squares and dividers with inexpensive knock offs would work, but would have its drawbacks. 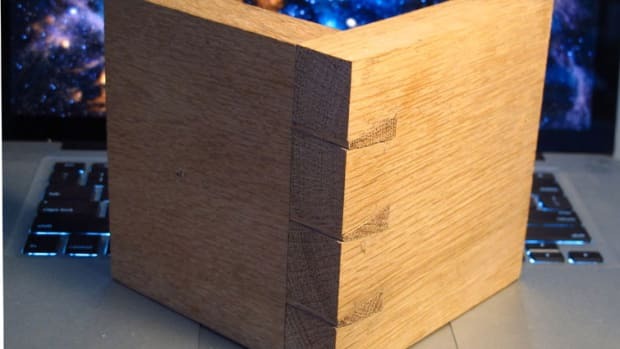 The real challenge would be finding high-quality edge tools like framing chisels and drawknives suitable for cutting timber frame joinery in teak, a trade that has as much as vanished in Mandalay. Since woodcarving is a trade that continues to thrive, we thought it would be a good idea to find the supplier the woodcarvers get their chisels from. Luckily Min Haem, the on-site civil engineer, was able to connect us up with his prior employer, U Win Maung, who has a woodcarving shop in Tampawaddi where most of the woodcarvers live and work. After weaving our way through the narrow streets and alleys in the neighborhood of Tampawaddi, we found ourselves in the living room of the family where many woodcarvers buy their incredible variety of carving chisels, all of which were quite well made, but too small for the work we need to do. After asking if they could get larger chisels and mallets, the tool merchant suggested we should go directly to the blacksmith who makes the tools he sells. Having never done anything like this before, we were excited at the possibility of meeting a craftsman who made 19th-century tools in the 21st century. We set off with our guide, U Win Maung, to meet Than Naing Oo, the blacksmith, whose family welcomed us into his shop, and as is customary in Myanmar, asked us to sit and wait until he returned, rather than come back later. The shop, with its handmade and belt-driven tools, powered by one of the single cylinder diesel engines that are the workhorse of Mandalay, was quite interesting and made the short 20-minute wait quite enjoyable. 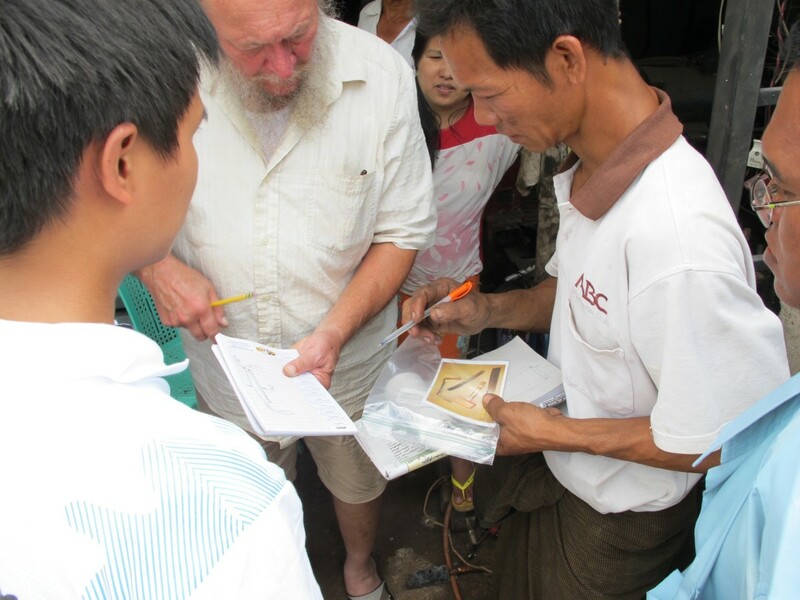 When Than Naing Oo arrived, we were introduced and I began to explain what we were looking for with pictures we had brought, and hand sketches made while we were talking. 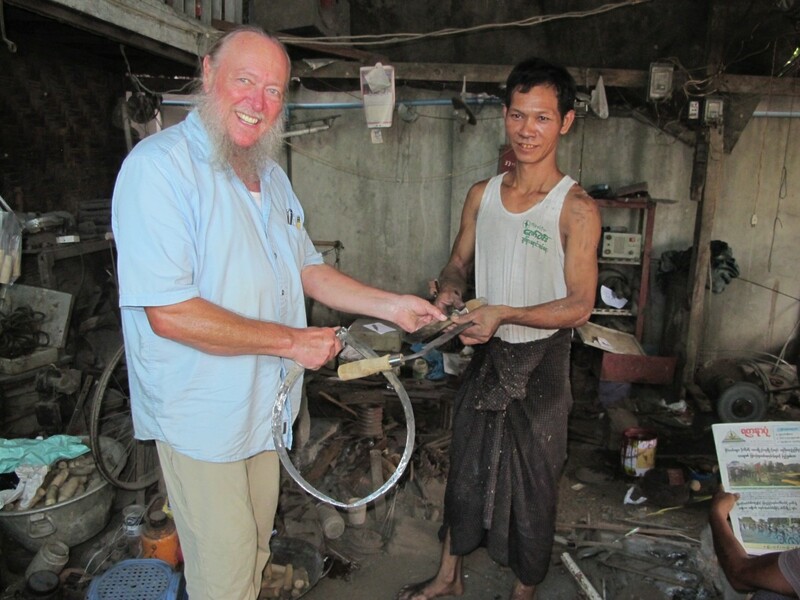 Soon it became obvious he had a real interest in making tools for us that were typical of what were once used in the Shan State of Myanmar when heavy timber framing was still an active trade. We agreed on a price and were more than surprised when he said to come back the next day to see if we liked the two framing chisels, drawknife and log caliper he would have ready for us. 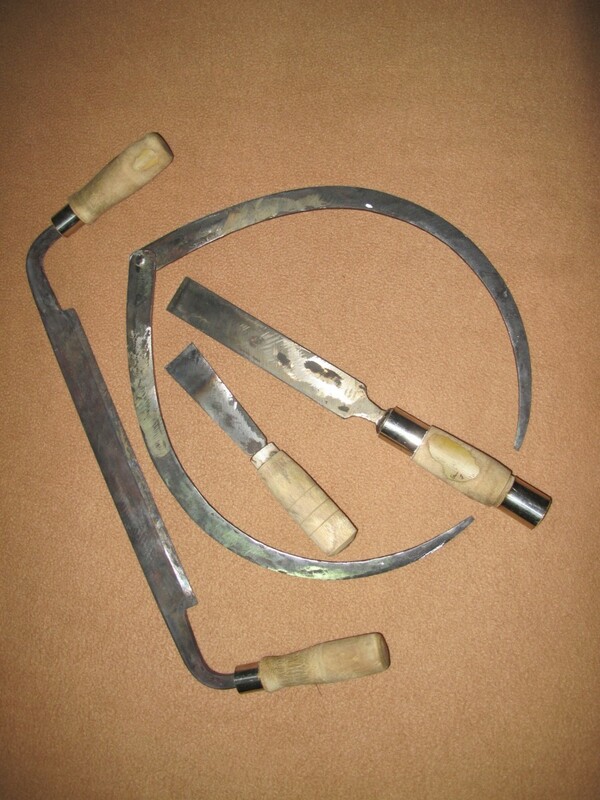 The handmade tools including a drawknife (left) a log caliper (enclosing the chisels) a 1½-in. framing chisel and a carving gouge (my gift). The next day, after calling to make sure the tools were ready, we returned to Than Naing Oo’s shop to find him hard at work on a chisel that was not part of our order, but his assistant brought us the tools we had ordered to see if we approved. Once again I found myself humbled by the skills of a fellow tradesperson, how well the tools were made, and by how well the blacksmith/tool maker had understood our requests. The tools were crude, by modern manufacturing standards, but obviously well made and clearly showed the hand of the maker, unlike the tools we would normally buy from a catalogue or online. As we stood there admiring our amazing acquisition, the master blacksmith, who had stopped working at his forge, came up and presented me with a beautiful carving chisel he had just finished making as a gift to me for our ordering tools that he had never been asked to make before. There is no doubt that most tradespeople I know will agree that good tools make our work more enjoyable. I have often said there is nothing better than a well-made tool, but now I can say that what is even better is shaking the hand of the tradesman who made it for you; something I had never experienced before searching for and finding the tools of our trade. You can learn more about the Shwe-nandaw Kyaung project at https://www.wmf.org/search/Shwe-nandaw%20Kyaung.